Fresh Chef Experience is Celebrating our New Classes & Parties, and We Want YOU to Celebrate With Us! We’re celebrating our new Cooking Classes & Parties! 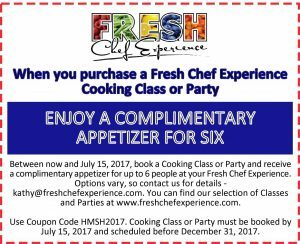 Celebrate with us by receiving a complimentary appetizer for up to six people at your Fresh Chef Experience. 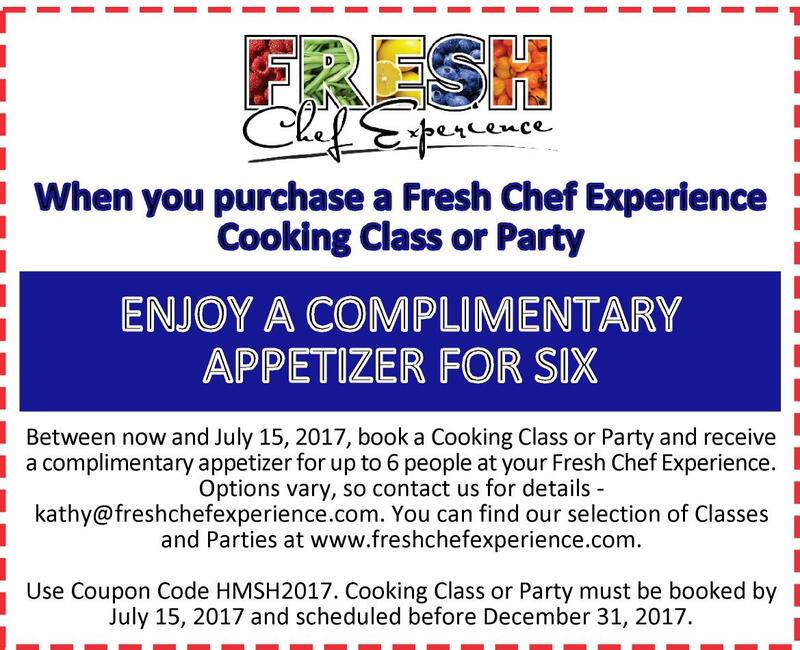 Book now before July 15, 2017, and schedule a Cooking Class or Party to receive this special offer.